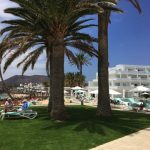 The Iberostar Lanzarote Park hotel in Playa Blanca occupies an enviable position on the seafront promenade next to Playa Flamingo, and close to the centre of the holiday resort. This hotel was renovated during 2016 and has since earned a 5* status, work included a complete refurbishment of all the rooms, and the creation of two new areas, one for families and another for adults only. The hotel accommodation is spread out over three horseshoe shaped buildings facing the sea, each with their own swimming pool. Ring A is in the centre (Rooms 1101-1319), Ring B (Rooms 2001-2322) has a family focus and Ring C (Rooms 3001-3322) is an adult only area, Additionally there is an accommodation block off set (Rooms 4000-4112). 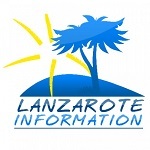 All the rooms at the Lanzarote Park have a bathroom with shower and toiletries, air conditioning and free Wi-Fi. Star Prestige services: Minibar with free initial stock, Nespresso® coffee maker with a welcome selection of capsules, exclusive entry to the Star Prestige restaurant as well as the pool and whirlpool bath area with hammocks, Balinese beds and Snack Bar. The hotel has entertainment and activities on site for children. Their friendly mascots Starky and Stella encourage the youngest guests to participate in events at the kidsclub (4-7 years old) and Maxiclub (8-12 years old). Guests can choose from 4 swimming pools, one is family orientated with a water park, and another is dedicated to adults only. There are also two children’s pools. Gastronomy is important at Iberostar Lanzarote Park, the hotel group have a strong focus on providing high quality food for their guests. We toured the Papagayo buffet restaurant at the Lanzarote Park towards the end of lunch service, there was a fantastic choice of options across the 6 islands, each with their personal chef. Breakfast is from 07:30 to 10:30, lunch 13:00 to 15:00 and dinner from 18:30 to 21:30 (1 hour earlier during winter months). The Star Prestige restaurant is accessed off the main buffet area, so that the adult only Star Prestige guests can access both areas for their breakfast & evening meals. The chef personally prepares your dishes to order in the Star Prestige from a limited menu that changes daily, in fact you can dine here for 30 days and not eat the same meal twice! 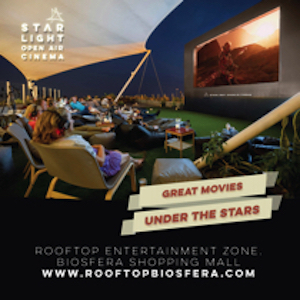 There’s a cool food truck in the hotel grounds that serves waffles, hot dogs and cold drinks El Mirador pool bar has daytime snacks from 10:30 to 18:30 and the Star Prestige pool bar is a cool place to chill out & enjoy refreshments for the adult only guests. The sports bar is open from 10:00 to 23:00 showing the latest live coverage of main events. The Jameos Bar is open in the evening from 20:00 to midnight with live entertainment. 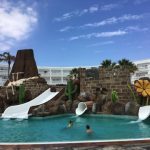 In our opinion the Iberostar Lanzarote Park ticks a lot of boxes for holidays in Lanzarote. 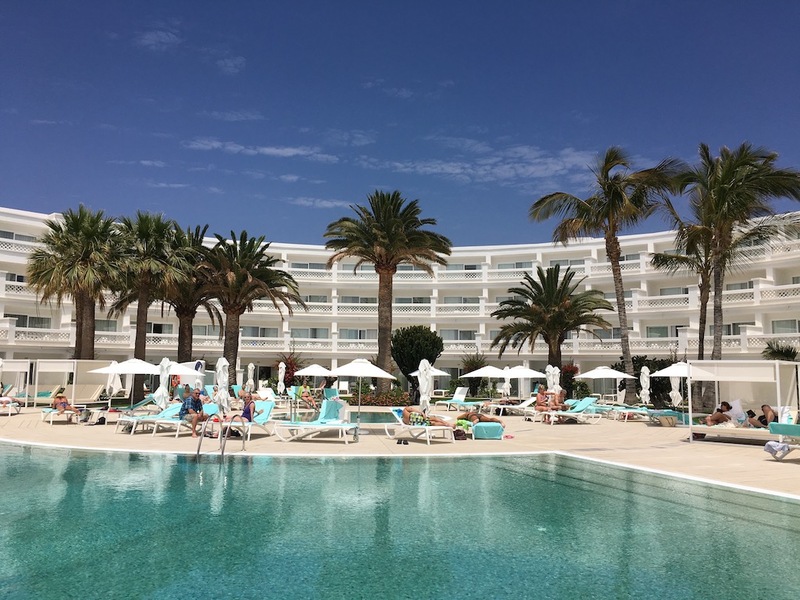 It’s in a fantastic location and appeals to all with areas designed for families and couples, plus a choice of accommodation types from room only through to all inclusive. 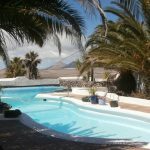 Have we tempted you to stay at this hotel on your next holiday in Lanzarote? 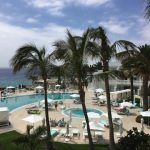 Let us price up your stay: Iberostar Lanzarote Park. Our current offer at The Lanzarote Park is for a one week’s stay for two adults in a Star Prestige Junior Suite with sea view. It’s a super spacious room with a hug flat screen TV, an large bathroom with rain fall shower, stocked mini bar and Nespresso machine. Star Prestige guests have their own check-in, their own restaurant and are located in an adults only area with its own pool. They also have access to a lounge offering free drinks – Cava, wine, beers and spirits, teas and coffees, snacks and cakes. Call us today on 0800 810 8404 to book or for more information, or complete this form: Travel enquiry.